"And [Judas] consented, and sought opportunity to betray him unto them, when the people were away." 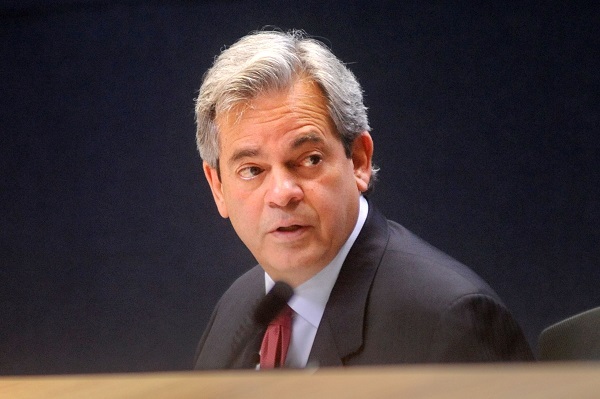 We're not sure how we feel about last Thursday's drama surrounding the CodeNEXT petition. We'd want to speak with some of our lawyer friends before weighing in. And, honestly, we don't care enough about CodeNEXT at this point to ask. But who really took the cake was Councilmember Ann Kitchen. Kitchen, if you remember, led the battle to counter 10-1 with another plan that eliminated the first independent citizens redistricting commission in Texas. She lost that one. In this case, Kitchen boldly claimed that the CodeNEXT petition is “illegal,” so much as accusing her four colleagues that they were voting for an illegal petition. Keep in mind, this is the same Ann Kitchen who appointed the then-President of the Austin Neighborhoods Council to the Zoning and Platting commission. It's hard to understand what Kitchen is thinking. We've heard speculation that she's reached some sort of deal with Adler, but that's just speculation. Furthermore, it's difficult to see what Adler can give her that's worth permanently alienating her biggest supporters. That's even truer in an election year. 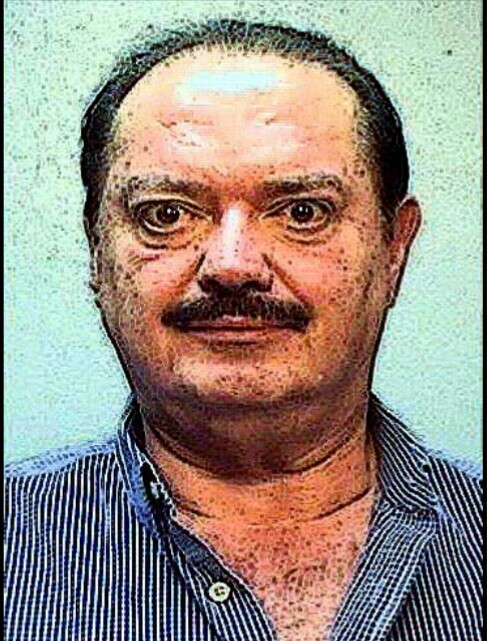 "Woe unto them, that rise up early to follow drunkenness, and to them that continue until night, till the wine do inflame them,"
State Rep. René Oliveira, D-Brownsville, has been arrested and charged with driving while intoxicated, according to authorities. 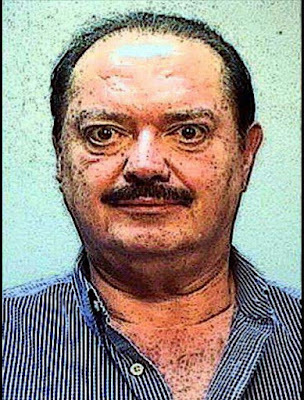 Oliveira, chairman of the House Committee on Business and Industry, was arrested Friday night and charged with DWI, a class B misdemeanor, Brownsville jail officials said. He was released on $2,500 bail Saturday morning. "Last night I made a mistake in judgement, and thankfully, no one was injured. I sincerely apologize to my family, friends, colleagues, and most especially to my supporters," Oliveira said in a statement. "I am embarrassed, but grateful no one was hurt." File that under least surprising development ever. Rene Olivera is one of the biggest drunks in the legislature (he's up there with Geren). Also, we'd never seen it before today, but apparently there's a blog in Olivera's district that covers a number of other misdeeds. 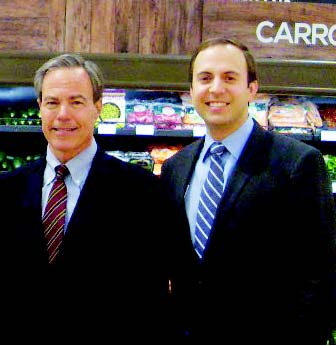 And yes, this is exactly the type of person Joe Straus makes a committee chair. "A fool’s lips come with strife, and his mouth calleth for stripes." Gov. Greg Abbott is demanding that former U.S. Rep. Blake Farenthold "cover all costs" of the special election to fill his seat using the $84,000 the Corpus Christi Republican used to settle a sexual harassment claim years ago. Farenthold, who abruptly resigned earlier this month, had promised to pay back the $84,000 — which came out of a taxpayer-funded account — after that settlement was made public last year but hasn't so far. In a letter to Farenthold on Wednesday, Abbott said the former congressman should return the money to taxpayers by funding the June 30 special election to finish his term. "While you have publicly offered to reimburse the $84,000 in taxpayer funds you wrongly used to settle a sexual harassment claim, there is no legal recourse requiring you to give that money back to Congress," Abbott wrote. "I am urging you to give those funds back to the counties in your district to cover the costs of the June 30, 2018, special election." At first glance, it seems like a decent enough gesture. Farenthold is certainly a jerk [Note: Though it's probably worth pointing out that, while WE called for Farenthold to go at the time, Abbott never did]. Furthermore, Farenthold is also departing in the most obnoxious way possible. That's not even a rounding error in government; that's not even a fraction of a rounding error. Texans Uniting for Reform and Freedom (TURF), Texans for Toll-free Highways PAC, and Grassroots America - We the People PAC contend the much-lamented funding shortfall is largely due to the Texas Department of Transportation’s (TxDOT) bloat and mismanagement of funds. While metropolitan areas scramble to re-allocate funds to advance projects without tolls, as Governor Greg Abbott and Lt. Governor Dan Patrick directed last November, the anti-toll groups argue TxDOT intentionally squandered the nearly $5 billion a year in new funding on low priority projects so they could force toll roads on urban commuters. 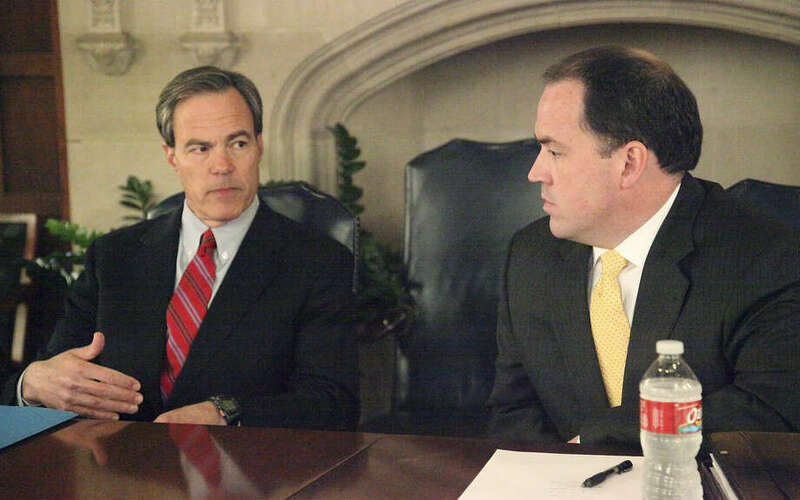 Hall and Fleming point out that the passage of House Bill 20 in 2015 should have addressed TxDOT’s perpetual failure to allocate funding to the state’s 100 Most Congested Roads by forcing the agency to implement project scoring and performance measurements that ensure objective data, not politics, guide the agency’s project selection process. “The Transportation Commission’s current process for determining how much money to allocate to different statewide transportation goals tends to favor horse trading among various interests more than consideration of performance information…Existing project prioritization process validates status quo instead of advancing projects based on need or impact. TxDOT’s current approach to prioritizing projects does not actually serve as a tool to evaluate which projects are strategically best, but rather works backwards to validate projects that are already in development,” noted the Sunset Staff Report. Bottom Line: Why fix transportation funding (aka. doing the job to which you were actually elected), when you can grandstand over the minuscule cost of a special election?!? "Is it not lawful for me to do what I wish with my own things? Or is your eye evil because I am good?" 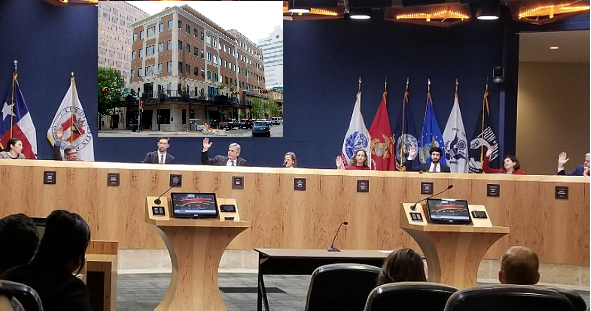 Back in February, during our testimony against council's "sick leave" entitlement, we called the ordinance "a hot mess"; we didn't realize just how hot of a mess it actually was. This morning, TPPF filed a lawsuit on behalf of several trade associations challenging both the statutory and (Texas) constitutional authorization of the city's ordinance. TPPF's primarily argues that the city ordinance violates the Texas Minimum Wage act. Specifically, the city ordinance violates how state law defines "hours worked." The relevant state law also has provisions dealing with sick leave specifically. We're not a lawyer, but this strikes us as a slam dunk. Here's the hilarious part: The "hours worked" provision is a direct result of how Greg Casar drafted the ordinance. 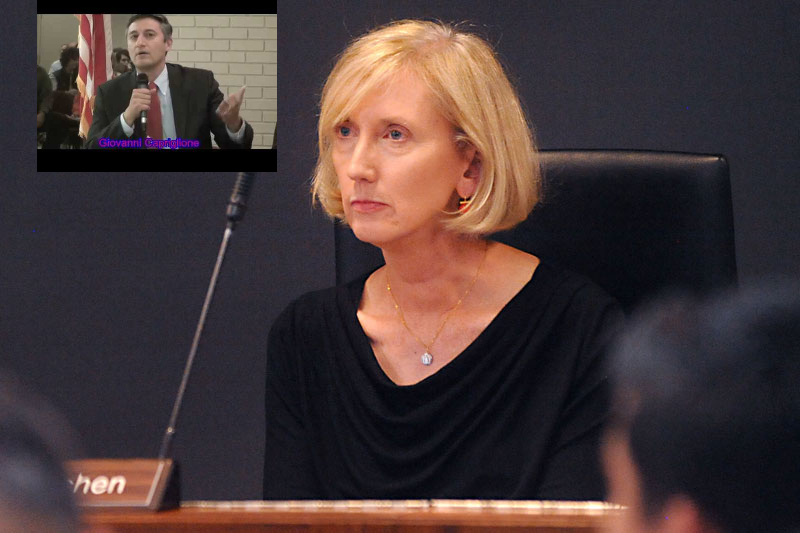 Had Casar actually listened to some of his critics during the drafting process, he could have avoided this grounds. Major-league unforced error on Casar's part. Besides the state law violation, TPPF also argues that the Texas constitutions' "equal protection" and "lawful search and seizures" clauses. On equal protection grounds, the ordinance exempts certain union employees. On lawful search and seizures, the city is arbitrarily claiming enforcement powers without judicial oversight or due process (very similarly to what they did on the short-term rental ordinance). This was another dumb, unforced, error on Casar's part. TPPF will be seeking a temporary injunction to block implementation of the ordinance; the hearing is likely to be on May 29th. "For thou wilt not leave my soul in the grave: neither wilt thou suffer thine holy One to see corruption." 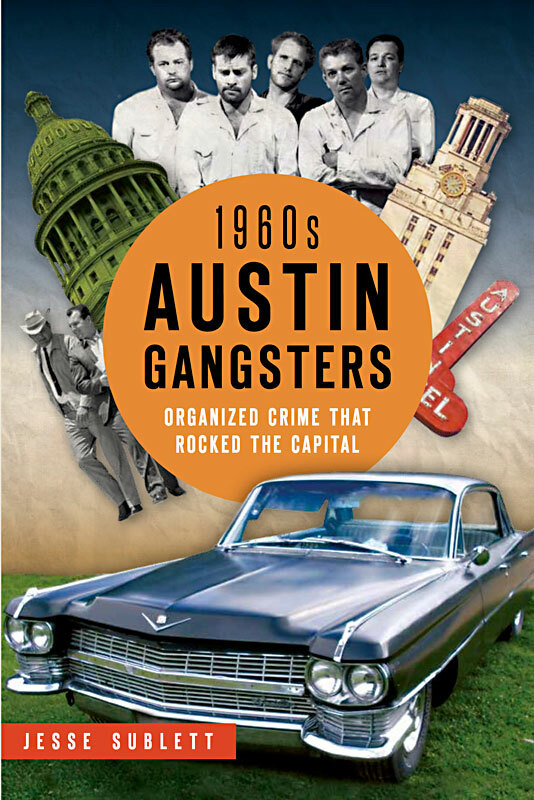 We're currently reading 1960's Austin Gangsters: Organized Crime that Rocked the Capital, by Jesse Sublett. It's a fascinating account of some of the more "colorful" aspects of our history. You can read the Austin Chronicle's 2015 review here. Plainview was one of more than a dozen stops on the pro stitution circuit. Most were country towns. 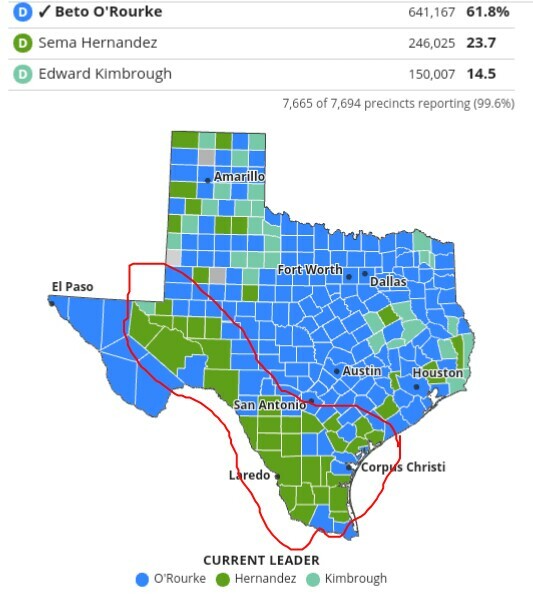 San Antonio was an anomaly. Lubbock was bigger than most. Besides Plainview, there were Abilene, Amarillo, Kilgore, La Grange, McCamey, Midland, Mineral Wells, Odessa, Pampa, Sweetwater, and Tyler. In other words, in small town after small town across the state, you had a bunch of rural good ol' boys interacting with a bunch of literal gangsters; it doesn't take a genius to see how this could get real toxic, real quick. And, of course, every single one of those towns had a state representative and a state senator. And, did you notice, that while the gang operated all over the state, they were based out of Austin?!? Once again, it doesn't take a genius. During tonight's UT Football spring game quarterback Shane Buchele took initiative. From the initial snap through halftime, the game revolved around Buchele. Outside of a couple of late drives, Sam Ehliger was irrelevant. Working with the Orange Team offense, Buchele found an open receiver every time he needed one; Sam Ehlinger, meanwhile, tried way too hard. 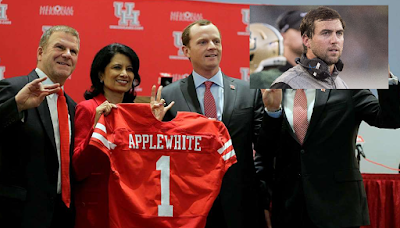 Reciever Jerrod Heard did what every Longhorn fan expected; Meh. "But seriously dawg": Everybody LOVES Shane Buchele so long as Shane Buchele is doing Shane Buchele stuff. That being said, there's stuff about which this author should't comment. The climate change court fight between California cities and big energy companies such as Exxon Mobil is widening as Republican attorneys general from 15 states filed a court brief Friday opposing the cities’ climate lawsuits. 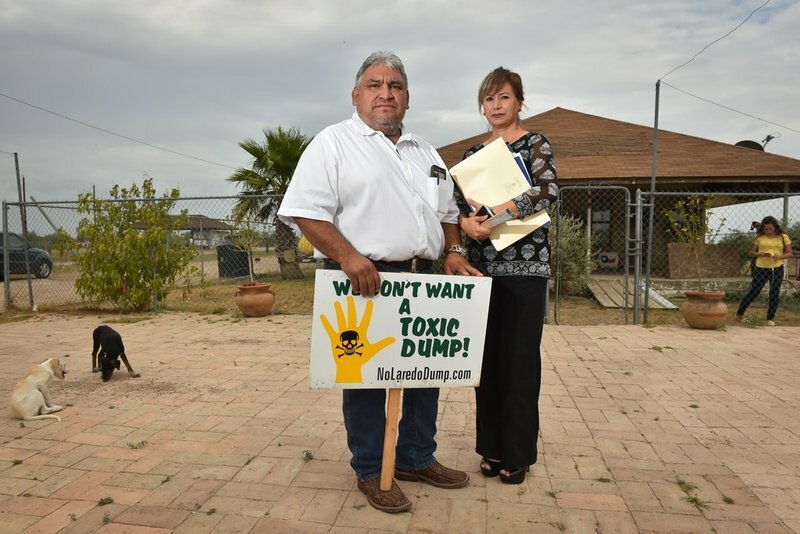 The attorneys general argue that the cities and municipalities suing the companies in federal court are overreaching in using local “nuisance” ordinances as a way to find a court remedy to the complex issue of global warming. The 15 states filing the amicus brief opposing the lawsuit include Texas, Louisiana, Wyoming, Colorado, West Virginia, Indiana, Alabama, Arkansas, Georgia, Kansas, Nebraska, Oklahoma, South Carolina, Utah, and Wisconsin. States such as Texas, Louisiana, Wyoming, and West Virginia are big oil, natural gas, and coal producers. Ken Paxton, Texas' attorney general, was often in Washington with then-Oklahoma AG Scott Pruitt when many of those states were fighting the Obama administration’s Clean Power Plan climate rules. The brief, filed in the District Court for Northern California, also argues that the nature of the lawsuit clearly makes it a national policy issue that one court is not in the position to decide. If the suit proceeds, it will lead to an avalanche of similar lawsuits all over the country, with conflicting judgments and results in their states. This is sad; it was also predictable. Lance Gooden is an awful state representative, but it wasn't until we saw this announcement that we realized the degree to which his underwhelming record extends to the Second Amendment. Did Gooden support constitutional carry last session?!? Two bills were filed. Nope and nope. The funniest part, however, is that the stupid "fee reduction" bill to which they refer was so meaningless that the Bloomberg Fembots didn't even object to it at the time. The City of Austin’s Code Department is asking for residents opinion on a new regulation to add to its already lengthy list of them. The regulation would require homeowners to install insect screens to all windows on their homes, at all times of the year. Of course, while mosquitoes and bugs do pose an issue during the summer months and those surrounding them, they are all but a non-factor throughout the rest of the year. Nevertheless, that is when the City of Austin decided they would attempt to regulate Austinites year round. No word yet on how the city would enforce or punish if the regulation was to be put into place. There's a lot that can be said about this proposal, starting with the fact that this is a textbook example of the type of mandated costs that slowly but surely drives up cost of living. Anyone who know the Austin Code Department's record knows their long history letting their friends do whatever they want while those they don't like are hounded incessantly. Ignored numerous violations by politically subsidized slumlords. Conducted illegal SWAT team raids (no joke). Who can ever forget the case of Matthew Palmer's fence?!? And that's before we get into the unconstitutional enforcement powers the code department has been granted under the Short-Term Rental ordinance. In other words, as it relates to any potential screen ordinance, 'selective enforcement' will be the order of the day. Bottom Line: On what planet do we want to give the Austin Code Department, as it currently exists, this sort of power?!? "Therefore by their fruits ye shall know them." 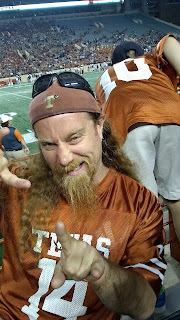 On Friday we discussed the farce at Texas State University. Well, it's over. The crazies won. And they got everything they wanted. If you can stand to stomach it, you can read the University President's letter of surrender here. Texans have every right to be livid. Following the lawless actions of a university bureaucrat making over $169k, a group of students took over a building. Then the university gave them everything they wanted. All this in an allegedly "conservative" state. We've said it before, but it bears repeating: The Board of Regents can stop this nonsense. And if the Board of Regents fails to act, the Governor who appoints them can step up. 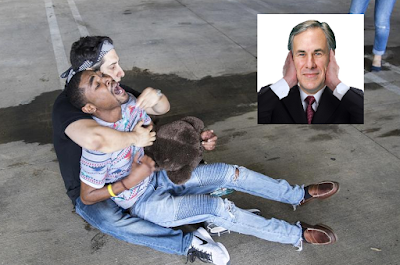 But Texas' allegedly "conservative" Governor hasn't said a peep. 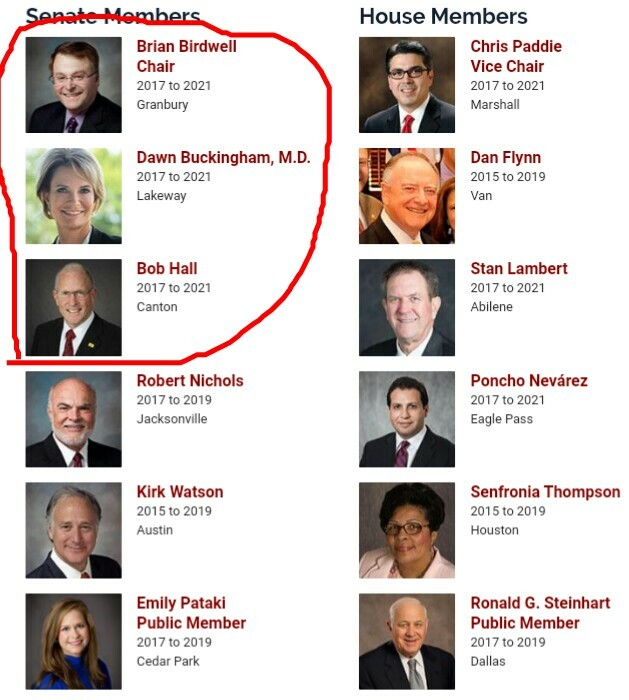 Also: Wouldn't it be nice if the Texas Senate would stop rubber stamping Regent nominees?!? Bottom Line: Texas' public universities are a state agency. If he were to choose to use it, the Governor has jurisdiction. But why actually do the job to which you were elected when you can sell paranoid fantasies about George Soros on Fox News?!? (San Antonio, TX) On Thursday Matt Beebe called upon his opponent, Steve Allison, to rescind his statement advocating for unconstitutional actions that infringe upon Texas citizen’s 4th Amendment and 2nd Amendment rights. Allison, a longtime friend of Straus, believes police have a right to order anyone who is openly carrying a gun in public to produce a license for the firearm. “I do think (police) have a right to see a license where there’s a weapon involved,” said Allison. Beyond the plain reading of the Constitution, there are volumes of court decisions over the last 50 years since Terry v Ohio that have consistently maintained that to “allow stops in this setting would effectively eliminate Fourth Amendment protections for lawfully armed persons.” This is unacceptable. Perpetuating this basic misunderstanding of the Constitution directly endangers lawful citizens by misleading local law enforcement, which continues to lead to tragic outcomes across the country and locally. Short of physical harm to citizens from untrained law enforcement, local taxpayers are at risk of huge monetary judgements against government entities which violate the Constitutional rights of citizens, as has been shown in Northrup v Ohio (a case extremely similar to the circumstances wherein Mr Allison seeks to abridge our Constitutional protections). Nor does the cause of the widow come before them." We've discussed previously how we didn't know much about either candidate. In that spirit, the Trib's profile helped. The short version is that neither candidate inspires, but one is significantly worse than the other. Dan Crenshaw is a retired Navy SEAL. That's good (as far as it goes), but one lesson we've learned from experience is that a Special Forces background doesn't necessarily mean you'll govern as a conservative. Crenshaw also openly admits to being endorsed by Pete Sessions in the Trib's video. Kevin Roberts, on the other hand, is a single term state rep. During his term in the legislature, Kevin Roberts was a reliable rent boi for Joe Straus. You can learn everything you need to know about Kevin Roberts' awful record here. But the wealth of the sinner is stored up for the righteous." 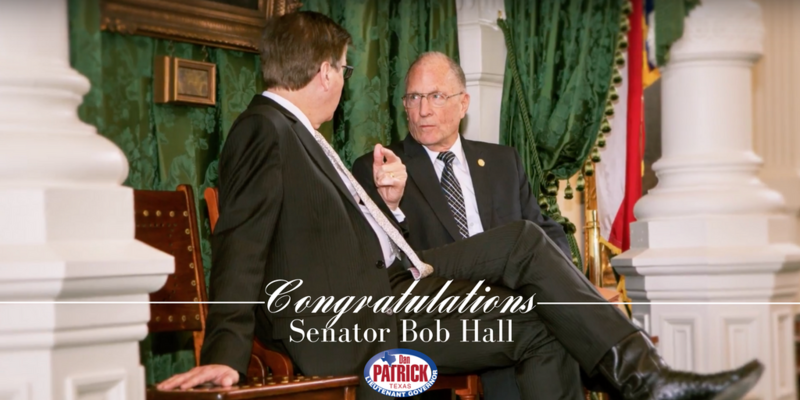 Our first reaction: "Dadgum, Bob Hall's on the Sunset Commission?!? When did that happen?!?" Apparently, it happened last November. Then we realized that Brian Birdwell and Dawn Buckingham are also on Sunset. Thus, you have a core group of 3 solid conservatives; that's never happened before. Historically, the Sunset commission has been made up of members who range from "ok" to awful (eg. Byron Cook was appointed twice). You might have one, or at most two, solid conservatives. 3 is unprecedented. There are 32 governmental entities going through Sunset this interim. Of those 32, using very generous standards, 20 might be justifiable. In other words, the Texas Sunset Commission has an easy opportunity to abolish at least 12 pointless governmental agencies this interim. 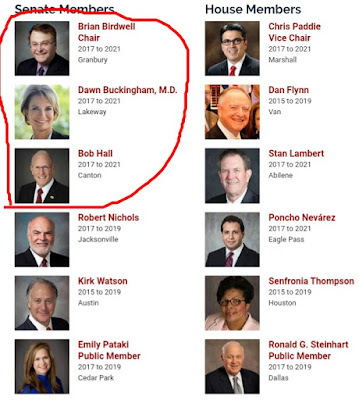 Even if Birdwell, Buckingham, and Hall can't get the full commission to agree to their abolition, as a dissident faction they can create headaches for all involved. For example: Did you know that Texas has a "Funeral Service Commission" (aka. you can't escape the government, even in death)?!? Neither did we. But that entity does exist, and it's up in Sunset this interim. Bottom Line: Imagine a world where, as conservatives steadily gain ground in the legislature, the Texas Sunset commission uses the authority it already has. Then consider that, with his appointments this interim, Lt. Governor Patrick has given us a down payment on that world. This is an opportunity we should exploit. Your rod and Your staff, they comfort me." An Antifa group at the University of Texas at Austin is calling for “revolutionary violence” against assistant professor Robert L. Reece after he wrote a column running afoul of feminist dogma. Reece isn’t the kind of academic that radical leftists typically attack. We find this to be direct proof that Reece is an active threat to students on campus. Through his course, he is uniquely able to identify potential rapists, yet he does nothing to stop them — and worse, he shows them his sympathy as a fellow misogynist and abuser. The RSF isn’t interested in allowing the wheels of justice to turn. The group put up posters featuring inflammatory prose and a large close-up photo of Reece encouraging students to stalk and harass him. “Let Reece know the student body is watching him” by emailing, calling, or visiting him in his office, the poster exhorts. On the one hand, we hope readers will understand if we keep our cards close to our chest as it relates to this group, but we know certain things we can't publish at this time. On the other hand, wouldn't it be nice if Texas' allegedly conservative Governor would actually do something?!? Say what you will about the University of Texas, but at the end of the day it's a state agency. And the Governor controls the Board of Regents. Then again, this sort of national media coverage will ultimately force Abbott's hand. As RSF becomes increasingly violent, they're going to become too hot to ignore. This is happening exactly as we predicted. But the scary thing is what's going to happen in the interim. WASHINGTON — U.S. Rep. Blake Farenthold, R-Corpus Christi, resigned on Friday. The decision marks the capstone of a tumultuous few months for the four-term congressman, who has been dogged by sexual harassment allegations and an ongoing ethics investigation. "While I planned on serving out the remainder of my term in Congress, I know in my heart it's time for me to move along and look for new ways to serve," he said in a statement that offered no further explanation for why he was not completing the final eight months of his term. To which we will add: We've heard rumors that Farenthold doesn't want to pay the legal bills that would accompany an official Congressional investigation. We caution that that's speculative and unconfirmed. But given the circumstances, it makes sense. But the worst aspect of Farenthold's action is the timing. We just had a primary election, and municipal elections in most parts of the state. Either one would have been an easy time to hold a concurrant special election. Unfortunately, because Blake Farenthold was so desperate to hang cling to power, we're going to have to have yet another election. 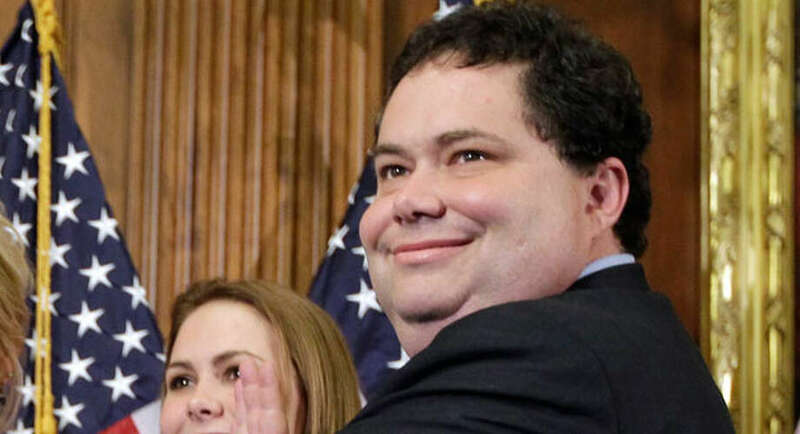 Bottom Line: Blake Farenthold is the political equivalent of herpes. By the time you discover the outbreak, it's too late to avoid the consequences. And those consequences last a long time. City Council will have to raise property taxes by 5 percent in the Fiscal Year 2018-19 budget just to continue funding existing programs, according to a financial forecast prepared by the city budget office. In a presentation to Council members on Wednesday, Deputy Chief Financial Officer Ed Van Eenoo projected that Council will have a $750,000 surplus when it begins crafting the budget later this summer. However, that money won’t go very far due to a number of cost drivers, including health insurance. The surplus comes despite the fact that the city is receiving slightly less revenue from sales taxes, franchise fees and traffic fines than city staff budgeted for. More than anything, the surplus is thanks to Council’s failure to approve a contract with the Austin Police Association. That, combined with a recently approved contract with Austin-Travis County Emergency Medical Services workers that included only modest pay increases, has left Council with $4.4 million more than staff had projected, explained Van Eenoo. Even the labor savings, however, are hardly guaranteed, since Council has signaled that it wants to eventually approve a new contract with the police union that will, in all likelihood, include some level of pay increase for police officers. The savings are “really a guess at this point because we’re still negotiating with our largest bargaining unit,” said Van Eenoo. The city is also projecting that property values will continue to increase: by 10 percent in 2019, 8 percent in 2020 and an average of 6 percent per year from 2021 to 2023. It projects that there will be $3 billion of new construction next year and an average of $2.4 billion per year from 2020 to 2023. But the rebellious dwell in a dry land." Forcing developers to "pay the relocation costs of tenants" is a sure-fire way to torpedo new construction. As developers evaluate their return on investment, forcing them to absorb relocation costs for dozens or hundreds of people per project, they will naturally engage in far fewer projects. That means we're stuck with our current housing stock for the forseeable future. It's just common sense. Then there's the fact that the terms aren't even defined. Specifically, how do you define "relocation costs"?!? How do you define "displacement"?!? As for the rest of the "plan," it's an unworkable hot mess of subsidies for some and tax increases for others. The politically privileged would get multimillion dollar city hall contracts. The rest of us pay for it. Then there's the fact that the politically directed allocation of housing creates multi-year waiting lists. Vulnerable citizens would be forced to pay unnecessarily high market rates for several years before they have a realistic opportunity for a subsidized unit. Either that or they'd leave town entirely. Bottom Line: Multimillion dollar city hall contracts for some. Higher tax bills for everyone else. What's not to love?!? State lawmakers, including some of the most conservative members of the Texas House, say changes should be made to a state statute that bars workers from renewing their professional licenses if they are in default on their student loans. State Rep. Briscoe Cain, R-Baytown, a member of the caucus, called the provision "harmful to our economy and the lives of Texans." "If Texas is going to live up to its reputation as a business-friendly state, we must remove barriers like this and others that prevent Texans from working," he said. The reaction follows a report published in The Texas Tribune that found thousands of nurses, teachers and other professional license-holders in the state are at risk of losing their license each year because they’re in default on their student loans. Bottom Line: Honestly, Governor Abbott should call a special session to repeal this monstrosity. And the bill to repeal it should pass 181-0. That being said, it's good to see the Freedom Caucus take the lead on this issue. U.S. Rep. Beto O'Rourke, D-El Paso, raised over $6.7 million for his U.S. Senate bid in the first quarter of 2018, according to his campaign, a staggering number that poses a new category of threat to Republican incumbent Ted Cruz. The haul is easily O'Rourke's biggest fundraising quarter yet, more than double his next-closest total for a three-month period. It also is more than any Democratic Senate candidate nationwide took in last quarter, O'Rourke's campaign said. Cruz has not released his first-quarter fundraising numbers yet, but O'Rourke's $6.7 million total is on a different level than his previous hauls, which ranged from $1.7 million to $2.4 million. Those alone were good enough to outraise Cruz for three of the last four reporting periods. With all due respect to the Trib, what's actually "staggering" is how bad of a return on investment "Beto" has been for his donors. In December, U.S. Rep. Blake Farenthold drew national attention when, in the middle of a sexual harassment scandal, he announced he was not running for another term. Yet the race to replace the Corpus Christi Republican has been one of the state's most under-the-radar contests. That was, in part, because many have assumed Bech Bruun, the former Texas Water Board Commission chairman and most prominent candidate in the 6-way Republican primary, was a safe bet to take over the seat. But last month, Bruun just narrowly placed first in the March 6 primary with 36 percent of the vote. Close behind him was former Victoria County GOP Chairman Michael Cloud at 34 percent. That margin surprised more than a few political insiders in the state, who assumed Bruun, who has ties to the state's GOP leadership and has racked up a string of prominent endorsements, would either avoid a runoff entirely or come much closer than he did to drawing the majority support needed to do so. But Cloud is putting up a tenacious fight that is leaving more than a few Texas political insiders less sure of who might win the GOP nomination in the May 22nd runoff. 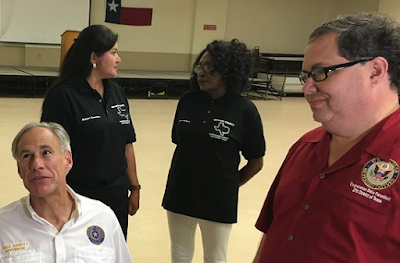 Cloud, a current member of the State Republican Executive Committee, had been running for the seat since early October, two months before Farenthold announced his retirement. And Bruun said that while he decided to run after Hurricane Harvey hit the region in late August, he held off from announcing his run for Congress until December, when his time at the water board was winding down. Cloud is running as "a constitutional conservative," with an emphasis on border security and scaling back the power of the federal government. And he argued in remarks in Port Lavaca in February that his early bid suggests an added layer of sincerity in his campaign. "If you followed the race, we got involved back in October," he said. "The landscape was completely different, and then news happened that shifted the race. That news happened a week before the filing deadline." He then implicitly criticized the other candidates who entered the race in that time period, including Bruun. "We got in the race because I looked at what was happening in our nation, and I felt like we needed something to happen," he added. "And I felt like we needed to send people who had the courage, who had the conviction to stand up to a culture of corruption in Washington, D.C. So that's what got me into this race, that was the message from the beginning." But Cloud had clearly built a following with his head start. He also has the endorsements of former U.S. Rep. Ron Paul, one of the country’s most prominent libertarian-leaning politicians; David Barton, an influential evangelical activist and author; and the four Republican candidates who did not make the runoff. Farenthold, the scandal-tarred incumbent, has not endorsed in the race and neither candidate appears to be pursuing his support. Bottom Line: On the one hand, you've got a personal friend of Ron Paul. On the other hand, you've got a Todd Hunter crony who's a key player in Texas' corrupt water polices. This decision isn't difficult.